Man, it has seriously been awhile since I have posted anything on here. 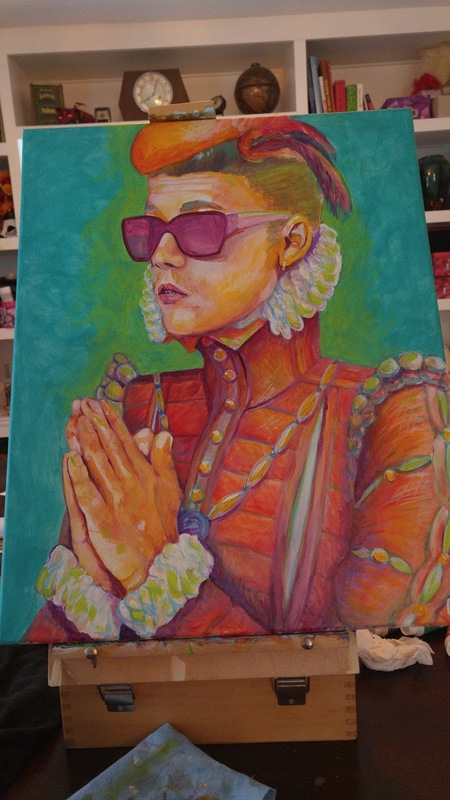 My newest project was a painting of Justin Bieber dressed up in Shakespearean garb. As he is from Stratford where there is a Shakespearean festival of which I work for. I had a ton of fun with this. So much orange, turquoise and lime green! Milo the kitty also helped by sticking his paw in some paint and licking it. 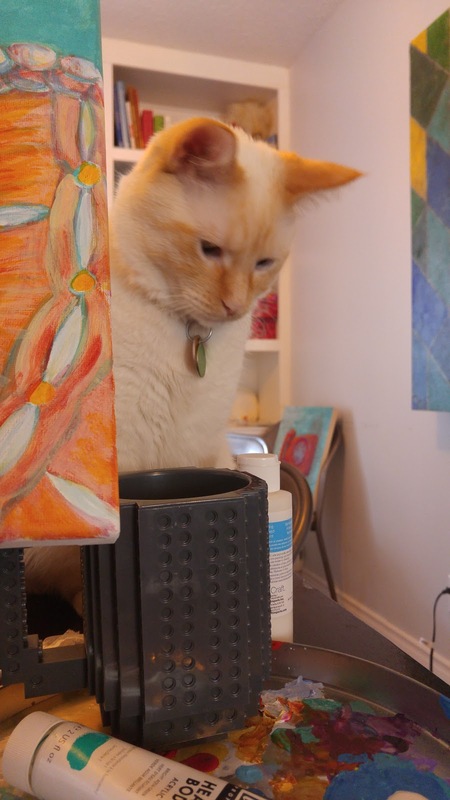 I tried to clean him up with water. Thank goodness it was white paint!